Bristol Airport Car Hire Flying in to Bristol Airport? 4x4 hire is the perfect way to continue your journey, with prestige Range Rover and Land Rover hire cars available for you to collect from arrivals. Our 4x4 hire lets you experience the West Country as it meant to be seen, the elevated driving position enabling you to enjoy views that other drivers don't. With well equipped prestige models and capable towing options we have the hire car for every occasion. Land Rover Hire Land Rovers are the most versatile of 4x4 vehicles. Built for power and precision, as well as on and Off Road comfort, Land Rover hire is the ideal choice for fun or practical use. Call us now for nationwide UK Land Rover rental, our competitive prices include generous mileage allowance and insurance (terms & conditions apply). Special Occasion 4x4 Hire Call 4x4 Vehicle Hire when you want a prestige four wheel drive hire car, SUV or RV for your trip. Whether you are having a celebration, are off on holiday or just visiting the UK. 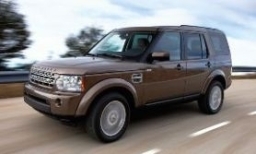 We have a large fleet of 4x4 hire cars - including Range Rover Vogue, Range Rover Sport, 7 Seater Discovery and Freelander. You can choose from models with Satellite Navigation and Full Leather Interior. Range Rover Vogue Hire Prices We ensure that our Range Rover Vogue hire prices are competitive whether you are looking to hire a 4x4 for a weekend, week or even longer. Hire a Range Rover Vogue for a week or more and you can save over 30% on our day rates. All of our Range Rover Vogue hire prices include a generous mileage allowance and insurance but exclude VAT. About AJM Luxury Vehicle Hire AJM Luxury Vehicle Hire is able to offer a professional 4x4 rental service to companies or individuals. Every rental includes free insurance for 25-70 year old drivers and a generous mileage allowance. Hiring a 4x4 couldn't be easier, with a range of vehicles and accessories, including luxury models. Tow bars and snow chains available. Practical and luxurious, four wheel drive vehicles are suitable for both business or pleasure. 4x4 Hire Bristol Our Bristol 4x4 hire office is now open. Offering 4x4 hire in Clifton, Chipping Sodbury, Thornbury and across the County of Bristol. Chose from a range of 4x4 Vehicles including the acclaimed Discovery 4, available with tow bar and the prestige Range Rover Vogue. Whether you hire a 4x4 for a day, weekend, week or longer we can deliver and collect across the Bristol area, ideal for Bristol airport transfers, plus our generous mileage allowance and optional European cover.